Because This New Asset is Poised to Soar 25x in 2019 Alone… and Much More After it. Today, American Investors can bank up to 2,524% over the next 12 months from this unique opportunity. All revealed below. And experts agree – the time is now. At this moment, there’s a vicious battle brewing for control of the world’s most valuable asset. Has completely changed his mind. Describing it as “sticky” and utterly dominant as an investment, he put $10 billion into it… breaking his long time financial strategy just to get a piece. Backing this asset will create more millionaires than any investment opportunity we’ve ever seen. Leaving behind 3 monopoly companies forming a new American Cartel. You see, what makes this so special, is that this Cartel is open to investors for an extremely short period of time. In 2019, it could create wealth letting early investors collect up to 2,524% from this opportunity in the next 12 months. And you can do it all today, investing in a new American Cartel controlling the most valuable asset on earth. You see, oil has been the most valuable asset for the past 159 years. It has created more wealth than anything on earth – producing family dynasties, entire nations and monopoly companies. But the real wealth from oil went straight into the hands of a small group of people. Investors like you couldn’t invest. Instead, we watched others get rich and control the world in the process. Today is a different story. It’s a new era of wealth for American investors. The asset they control is about to surge more than 150 times in 2 years, and you can get in on it all before it happens. … like John D. coming right to you – shaking your hand – and cutting you in before the wealth creation skyrockets to a million dollar fortune. If control, monopoly profits and lasting gains sound like something you’re interested in… keep reading. You’re about to blaze the trail towards your dream retirement… quitting work years earlier than your friends… and make up to 2,524% from this unique Cartel opportunity. Throughout all of this I’ve always paid close attention to future trends. 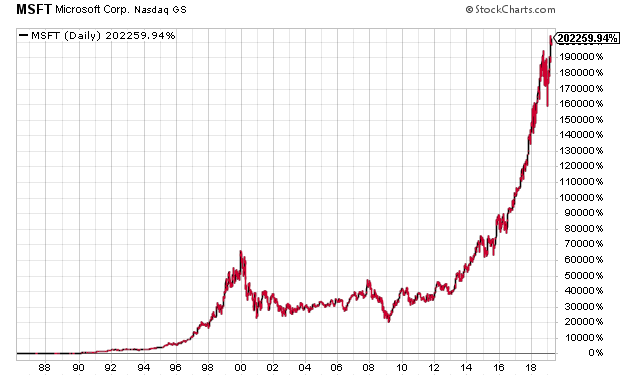 I’m driven to find stocks that control industries… and produce gains continuing for years on end. I’m writing to you today because I’ve discovered a legal Cartel monopoly on the world’s most valuable asset. Truth be told… you won’t hear this anywhere else. I’m an old guy… so I’ve lived and dealt with more markets than these guys screaming market directions on Twitter. I’ve never seen wealth creation as rampant as this for early investors. I’ll show you how to play it all, today. In fact I’ll give you everything you need to know about the 3 companies. And with them, you won’t need to watch your computer monitor like a hawk… you’ll enjoy set-and-forget it wealth. And you won’t be taking on huge risk, “leverage” or backing overhyped stocks. Because backing this Cartel means backing a new American OPEC. When a country controls the most important strategic asset… it owns the world. It’s power which makes individual investors a fortune, mints more millionaires and creates unprecedented wealth in a matter of months. Remember how the OPEC Cartel controlled oil? … and there was nothing we could do but sit there and pay. Now, it’s your chance to sit and get rich. Because just like OPEC controlled oil, these 3 Cartel Members control the new most valuable asset. And unlike OPEC… these Cartel Members are publicly-traded American companies. As they make their final moves for total control… you’re front and center of a 2,524% windfall in 2019. Having the world at your beck and call… while collecting a million dollar retirement in the process. And it’s all happening right this very moment. You see, it’s not gas… nuclear or any unheard of natural resource. And it’s definitely not some space investment reserved only for the elite. Meaning you get richer by the second. You’ve probably heard it before, but never realized how lucrative it is for investors like you…… because I’m talking about data. I’ll show you why this data opportunity is so important in a minute. But first, you’ll discover exactly how it could produce as much as 2,524% in 2019. The bottom line is… while you might have seen the news about data… everything you’ve heard about it is completely wrong. Only a few will get truly rich. The mainstream news you hear about data is the way to make normal gains. So sure, you could invest in Cisco and earn a little more than the S&P 500 makes this year. But it’s sure not enough to get wealthy. So when you’re ready to make serious gains, this is the real opportunity which does it. Or Standard Oil in 1870. Because this is about controlled wealth. And it’s happening right now. See, there’s now more money controlling the flow of information than there is controlling anything else on this planet. The amount of data the cloud produced in 2015 was 3.9 zettabytes. And by 2019… total data stored in the cloud could reach an eye watering 42.3 zettabytes… per month. That’s 473,111,867,904,664 gigabytes… as early as next year. The bottom line is data is about to hit a massive inflection point… increasing 150 times as early as 2020 and much more after it. But it’s not just the increase that’s important… it’s how it’s used that makes you so much money. And without these 3 companies forming a monopoly Cartel on data… it’s all worthless. You see, mainstream money isn’t talking about this Cartel… they’re not even aware of it! And it’s why most of the gains will be off the table by the time they find out. But the smartest guys in the room fully understand it. It all starts for you, today. And the Cartel is now at the point of being able to process this 150 times surge in global data to make you a 2,524% windfall. Processors are so small and powerful they can fit anywhere. Wireless networks are everywhere… beamed from lasers, satellites, even hot-air balloons. Battery power and charging time is at a peak for energy consumption. … each time it increases, the wealth from the Cartel goes straight to your pocket. Because the Cartel Members are the only players who can process this influx of data… and use it to create real time immediate decisions. It’s this combination which makes data – and the Cartel – so incredibly lucrative for you. And the same reason all these billionaires are doubling down on their investments. Speaking to insiders recently – Michael Dell (investing $67 billion) – knows the world cannot process this data without the Cartel. So does Buffett… Cuban… Zuckerberg… and Bill gates. And the opportunity is now. Because this is the most strategic asset… today… and investing in it will bring life-changing for early investors like you. So to make that a reality… I want you to give you the undiscovered players forming the Cartel, today. And we’ve only seen a fraction of its growth. And why this company could make you a fortune today. This Cartel Member is one of the early adopters of this… meaning it can analyze mindblowing quantities of cloud data. But here’s what makes this Cartel Member truly unique. It’s creating the next generation internet. This is what makes data so valuable today. Because for investors like you, it allows you to participate in one of the biggest growth opportunities ever to come along in technology. Remember, there’s more money in routing data through the world than physical goods. Except with data it’s about to increase 150 times… and add 2,524% to your portfolio over the next 12 months. And by my estimates, it’s a combined industry of $11 trillion by 2020. You see Facebook, Google and Amazon live and die by what this unique company produces from data. Governments need it for everything from agriculture to healthcare. This company is at the forefront of making it happen, today. Financially, it means this company has access to 1,506 times it’s current yearly revenue. … meaning it could dominate the sector and spark a trillion dollar revolution in data storage and processing. Everything is in place today. However, to enjoy this ride up – and profit behind this Cartel Member – you need to get in while this is still on the ground floor. To give you a hand up I’ve put all the details on page 3 of my special briefing Data Cartel Investing: 3 Tech Stocks to Own for the Next Generation Internet. Let’s get to the next one! With the huge influx of data… we will see the increasing threat of cybercrime. It’s estimated the U.S economy will lose $3 trillion from cyber attacks each year… that’s 16% of U.S. GDP as data surges. It’s one of the reasons Warren Buffett invested $10 billion behind the Cartel. During a Berkshire Hathaway annual shareholder meeting, he mentioned cyber attacks are a bigger threat to humanity than nuclear attacks. The bottom line is that there’s a huge opportunity ahead. And this Cartel Member has already created the solution. Analysts estimate your next car could generate 100 gigabytes of data per second… that’s 100 hours of Netflix streaming in the blink of an eye. Data is so critical to fueling the world it’s nothing short of a gold rush to own it. It’s also the company processing services for Amazon, Microsoft and Google. Don’t be surprised if IBM, Wells Fargo and JP Morgan come knocking soon. And it all comes down to helping process the real-time flow of data by providing intelligence-led cybersecurity. It’s unique solution integrates big data, cybersecurity and machine learning while applying it to emerging threats. Threats which huge companies, institutions and governments will rely on with the coming data surge. This company is carving an industry all to itself. There’s really no telling how high this could go. And it’s exactly why you need to get in today as the data surge reaches its inflection point. All the details are inside Data Cartel Investing: 3 Tech Stocks to Own for the Next Generation Internet. And a fortune inside your bank account in just 12 months. In all my years of watching the energy and tech markets, I’ve never seen such wealth flowing into a small industry… even McKinsey estimates car data ALONE will be a $1.5 trillion industry by 2030. … that’s from an industry currently worth $48 billion (31 times your money in one sector). So, if you feel like you missed out on the booming market after 2011… it no longer matters. The wealth backing the Cartel is so strong, this will finally add zeros to your portfolio. Or if you missed out on legendary tech winners throughout the years… you can pull a seat up to the table today for a 2,524% run behind the Cartel. Even if you missed out on the cryptocurrency mania… keep reading. You’re about to discover the best way to leverage its meteoric rise today… even if Bitcoin or any crypto plummets to zero. You’ve seen cryptocurrencies take off to the moon and back again. There’s more than 1,384 cryptocurrencies out there and most have no application in the real world. As bitcoin jumps up and down in price… Buffett, Gates and Cuban all realize the technology behind it is crucial. The blockchain is here to stay. And how this company is using it with data will rattle the technology industry. That means less fees, anonymous transactions and it’s all secured and guaranteed by a fully integrated network. It’s like selling on eBay… without ever having to pay eBay fees. And with the influx of data… transactions routed through this company will peak extremely soon. This is the only way to process the huge amount of transactions – financial or not – as data jumps 150 times by 2020. And it’s this Cartel Member that’s leveraging it all. And it will soon move into supporting entire blockchain transactions. This is the best way to leverage its meteoric rise. And it doesn’t end here. This company believes it can solve a range of problems that go beyond payments, transactions… and processing. It’s set up to become an early-mover at the forefront of the blockchain revolution, and we’re only seeing the start. Imagine being paid for your electricity all while riding a 2,524% windfall because you invested in the Cartel. As some analysts predict blockchain will be worth $1 trillion by 2019… the writing is on the wall. This company is at the forefront of this growth and it could be one of the best long-term plays I’ve ever seen. Don’t wait for the the financial news to give you the announcement… because then it’s over. The only time to invest in this Cartel Member is today. All the details are fully spelled out inside my report Data Cartel Investing: 3 Tech Stocks to Own for the Next Generation Internet. And creating a new monopoly on data. Make no mistake: The wealth creation is virtually unlimited for early investors. The kind which produces 2,524% in as little as 12 months… meaning 2019 could be the revolutionary year for you. 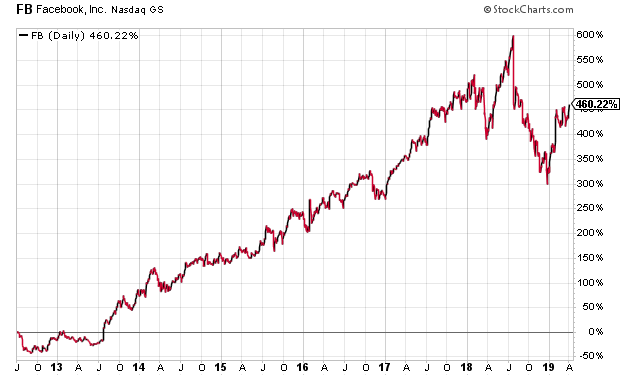 And you can do it all with the early edge I’m giving you inside Data Cartel Investing: 3 Tech Stocks to Own for the Next Generation Internet today. 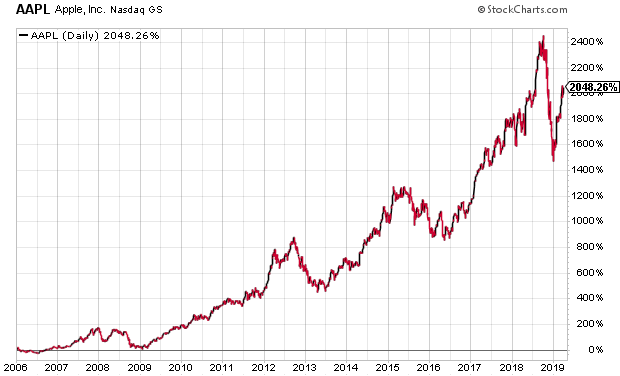 You see, Growth Stock Advisor is designed to exploit controlling industries and produce groundbreaking gains for investors… before the mainstream piles in. In under 6 months in 2017, subscribers could cash out a 126% winner on an up-and-coming pharmaceutical company. In under 4 months in 2017, subscribers had an opportunity at 59% gains on an innovative laser company. On August 28th I closed out our position in Sterling Construction (STRL) for a tidy 160% gain. Cera Therapeutics (CARA) was closed and subscribers booked 142% in only 10 months. Even with the recent broader market turmoil my top recommendation in the industrial laser space has yielded 49% to readers in just six months. Our top stock in the homebuilder space – a play on the expanding economy – is up 52%. And a healthcare stock we closed for nearly 30% after holding it just a few months – the gains can come fast. 12 Monthly Issues of Growth Stock Advisor Each Year – Every month you’ll receive a full monthly briefing straight to your inbox. Everything inside covers in-depth analysis of what’s happening in the markets, trends and details on portfolio holdings. Portfolio Reviews – Up to date analysis on the Growth Stock Advisor portfolio recommendations so you know your next move. Inside you’ll find a “Buy Below” price, so you can follow my recommendations knowing you will never overpay. E-Alerts – You’ll be sent alerts for clear buy and sell instructions when opportunities just can’t wait until your next monthly issue. I think it’s only fair for you to get the news as fast as possible. This way, you’ll never miss out on money making opportunities again. 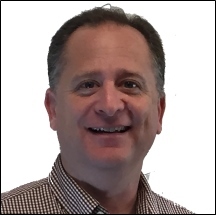 Direct Access To Me – I believe Growth Stock Advisor is one-of-a-kind because I talk with my readers: it’s a two way conversation. It’s something I’ve not not seen with any newsletter I’ve experienced. So you’ll have my personal email from the moment you join so you can ask any questions about our portfolio stocks and the trends driving them and get a straight, prompt answer from me. That’s the best part – it’s a fraction of what you might imagine. I’ll give you the good news in a moment. But before I do that… let me show you two other portfolio superchargers I want you to have absolutely free today. Remember… data is not a one-and-done opportunity. The wealth coming from the Cartel is enough to create the retirement you’ve always dreamed of. But the gains will spill into multiple industries by 2020. Now, you don’t need these… but the profits are simply too good to ignore! These kind of opportunities are enough to turn a paltry $5,000 into a portfolio letting YOU decide how you live. … forgetting about needless bills, debt or working ever again. … never second guess eating out – how much that car costs – or “saving” for golden years. … flying first class so often it seems practically commonplace. 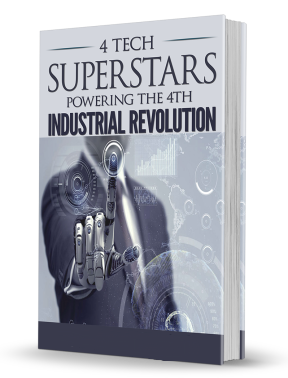 You’ll find it all inside my new report 4 Tech Superstars Powering the 4th Industrial Revolution. You’ll discover the 4 emerging superstars at the epicentre of the next generation internet: Sensors, space technology, micro and semiconductors and new range wireless charging. Remember that data will spread into multiple industries and I’ll give you the best way to play the biggest winners inside this report. These 4 companies are industry dominators for how the internet and data works now and in the future. They’re also superchargers for the data influx about to happen in 2019. The bottom line is… this is another ground floor opportunity for making serious gains this year. And a great way to pick up winners across the industries data has spread into. This bonus report – a value of $37 – is yours free when you become a Growth Stock Advisor member today. You see, the Cartel is just the beginning. And the Emerging Industry Dominators are the cherry on top. Not every company will be an outright winner. … which would drain your account and deprive you of the real winners in this tech revolution. Inside you’ll find the 5 tech companies you need to avoid like the plague. The last thing you want is to be sitting on dead money while 2,524% and more zips past you. 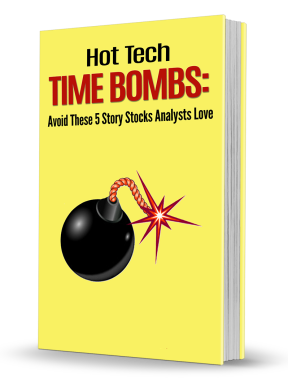 It’s all inside this bonus report – a value of $37 – and it’s yours free the moment you give Growth Stock Advisor a risk-free trial today. With all the gains ready at your fingertips… there has never been a better time to invest. Because you’ll instantly receive all the invaluable reports and resources that come with your membership to Growth Stock Advisor the moment you join. 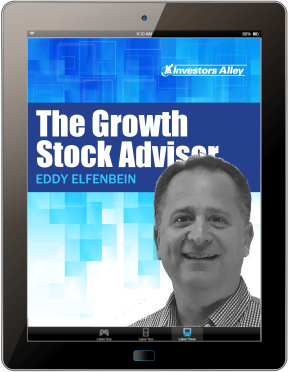 Some industry insiders tell me a full year of Growth Stock Advisor is easily worth more than $1,000 per year. No matter how you feel, there’s no denying the life changing investments made when you invest in controlling industries. It’s the best way to make huge gains quickly and still ride long-term wins. The reports alone total over $117. And you get them all – no strings attached – when you give Growth Stock Advisor a risk-free trial today. I want to make life-changing gains as simple as possible for you. So if you act right now, you won’t pay $585. The running rate for a year is normally $195… and given everything you’ll receive today plus your free reports on the Data Cartel, you know you’re receiving excellent value at every turn. Through the special invitation below, I’m offering these urgent reports, insights from my investing, monthly briefings and full updates for only $49. That’s pennies on the dollar for what Growth Stock Advisor will be worth to you… and more than 75% off (and $146 saved) today. … opportunities letting you escape the rat race forever for less than the price of a tank of gas. All because Growth Stock Advisor will show you exactly how to get in front of this all out assault on a monopoly industry. However a warning: you need to get in early to monopolize this industry… so don’t leave it tomorrow. Don’t write it down as something to come back to – jot down as a note to follow up later – or leave until you hear it on TV. That’s when it’s over. You hear about it first only from analysts like me. So when you’re ready to ride 2,524% from these Cartel Members… just click or tap the button below to get started. For the next 2 months, you can see gains investing in the Data Cartel and every other target I share with you. 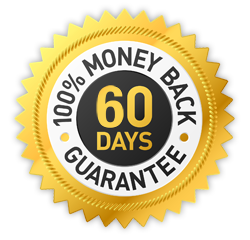 So, in the unlikely event you’re not 100% satisfied with the recommendations, in-depth analysis and the potential gains inside Growth Stock Advisor… at any point during your 60 day trial period… simply email or say the word. No questions, hoops or long email chains to jump through. There’s no other newsletter like mine I’m aware of offering this level of service to its members. And even if you cancel, you’re still the owner of all reports and briefings you’ve seen today. Because I don’t want your money if I CAN’T make you money. But I’m not satisfied here. This second guarantee will show you how truly serious I am. I will work for you for free. Simply email me (remember, I answer all personal emails unlike some of the other services I’ve experienced) and I’ll personally extend your Growth Stock Advisor membership for another year on the house. It’s a “Money Talks, BS Walks” guarantee and I hope you appreciate how serious I am about creating your wealthy future. … and you must act now. There’s never been a better time after I asked my publisher to knock 75% off your membership fee and give you a full year for only $49 (just $4 a month). Truthfully, this may end up being the last time this rate is offered. So don’t put this off. Go ahead and join me today. Simply click the button at the bottom of this page and complete the safe and secure order form. It takes 83 seconds to complete… and you’ll be granted instant access to your membership account. The tidal wave of wealth didn’t end with technology… it’s only beginning. … this is your chance to become the wealthy investor everyone fantasizes about. The investor who called it before everybody else. So go ahead and click the button below, we’re ready for your order. 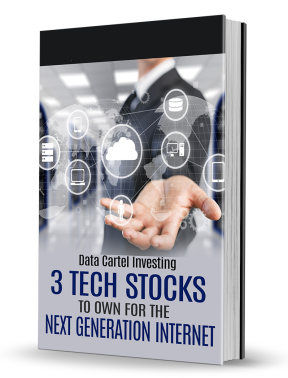 You can tear into your copy of Data Cartel Investing: 3 Tech Stocks to Own for the Next Generation Internet as well as your two free bonus reports and everything else inside this extensive research service. … meaning you have absolutely nothing to lose and everything to gain. The upside is as much as 2,524% on the Data Cartel, allowing you to back in the strategic asset of the future. So click the button now. It’s easy to get started. Within 83 seconds, today is a remarkable day in your financial future. You can rest tonight knowing you’ve taken one huge leap forward with your retirement portfolio… wealth creation… and future proofing your life. Click or tap the button below now to claim your Growth Stock Advisor spot instantly. P.S. – Remember the news your hear about data isn’t the same opportunity you see on this page. If you want S&P 500 gains, stick to CNBC. However this is an exceptionally rare opportunity… the kind which comes around once every 20 years. All because a legal Cartel is about to control the world’s most valuable asset in the world and it’s American owned. Facebook, Amazon and Google are desperate for this technology solution. And the Cartel solves an $11 trillion problem… before it surges more than 150 times. The fuse is lit and it’s happening right now. The only decision you can make is to get in on the ground floor and ride it sky high. Backing this new American Cartel is like investing in OPEC. P.P.S. – You could see a 2,524% surge in your portfolio in the next 12 months… unheard of gains for early investors you won’t find anywhere else. Combined with $146 in savings, $117 of free reports and receiving the full gains inside my research service… this could make 2019 your year for financial independence. We respect your privacy and take it very seriously. Your email will not be sold. Please review our privacy statement. The information in this email and corresponding websites are neither an offer nor a recommendation to buy or sell any security, options on equities, or cryptocurrency. Investors Alley Corp. is neither a registered investment adviser nor a broker-dealer and does not provide customized or personalized recommendations. Past performance is not necessarily indicative of future results. No trading strategy is risk free. Trading and investing involve substantial risk, and you may lose the entire amount of your principal investment or more. You should trade or invest only “risk capital” – money you can afford to lose. We urge you to conduct your own research and contact your personal financial adviser before making any investment decision. © 2019 Investors Alley Corp. All rights reserved. | More information.